Aim –To bring Katherine Jenkins, the world famous mezzo-soprano singer, to a younger and more mainstream audience via online publicity and creative digital ideas. Her audience at the time we took on the project was predominantly males in their 30s. While wanting to maintain this loyal, core fanbase it was important to us to introduce Katherine and her music to other areas online in the fashion, pop and mainstream worlds. We wanted to focus on Katherine as a classical cross-over artist. Katherine The Voice –She is an incredibly talented singer, sending shivers up your spine when you hear her live. We wanted to build on already existing music coverage, including classical sites, and increase exposure. We secured her video premiere on The Daily Mail which has a following of over 75 million people per day! 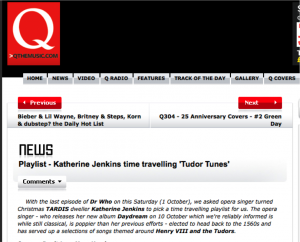 Katherine The Credible Pop Star –Katherine had never had interviews with sites such as Q The Music before, an intelligent and well thought of site with fantastic in-depth features. We secured Q as well features on popular culture sites such as Holy Moly, Digital Spy, The Sun, Music OMH and more. Katherine The Fashion Icon –This had not really been focused on before, and Katherine has very on trend, cool dress sense. 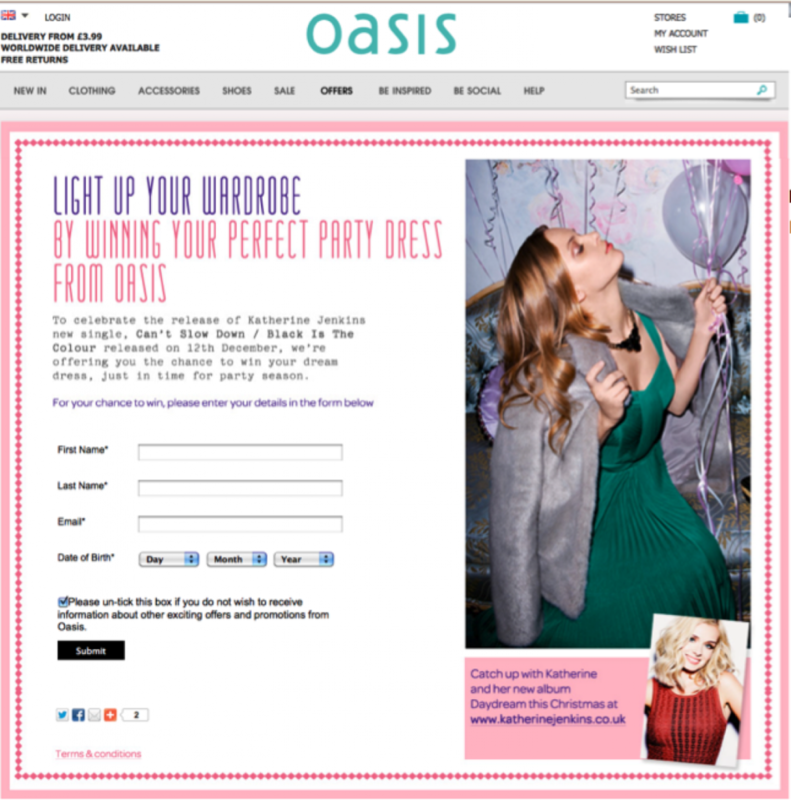 We organised features on Glamour Online and Oasis Clothing bringing her to a more girlie audience. Examples of the features and special promotions we secured are outlined over the next few pages. On the following pages we have highlighted a number of online publicity and other digital promotions we set up throughout the album campaign including statistics of the sites and how we feel this impacted on the exposure and of Katherine and her album. 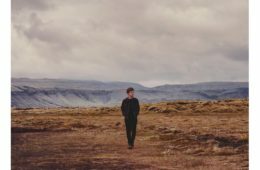 The Daily Mail Online –Video premiere of single ‘Break It To My Heart’. This site is one of the biggest in the world and was the biggest placement we could possibly have secured for Katherine’s official single video. Q Online –featured an exclusive themed playlist. We organised a competition for Katherine Jenkins fans to win some Oasis dresses of their choice. This was hosted on a bespoke tab on the Oasis site which they built, and was promoted by Katherine across all social platforms. She was also gifted with Oasis clothes for herself! We secured an incredible digital promotion in partnership with Shazam for Katherine’s album. ‘Daydream’ artwork and click through to iTunes buy link was featured on the Shazam listening screen on the app for iphone and android, reaching 4 million people minimum daily! This promotion is worth over 75,000 Dollars and has huge exposure! Before we secured this only one or two artists had ever done this including the Foo Fighters. Katherine also performed a session for their app and website which has had over 15,000 views to date. We wanted to secure sessions that were not only beautifully filmed but with well respected and cool sites with audiences that Katherine would not have reached before. We reached a wide and varied demographic with the below sessions. We arranged some amazing interviews for Katherine to promote her album with sites including The Daily Mail, Verge Magazine, Music OMH, Glamour Online, Digital Spy, Female First, Digital Spy, Entertainment Wise and So So Gay. We wanted a wide variety of sites from music, fashion, pop and GLB. A Selection are below. Please click on the screengrabs to see the full features. 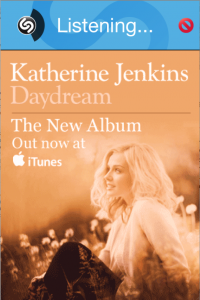 We achieved great success with Katherine Jenkins’ classical cross-over album ‘Daydream’ which was released in October 2012 and reached number 5 in the Official Charts! Her social media platform stats increased massively, by 300% in the case of Twitter. Furthermore, we introduced Katherine to cool new sites including Holy Moly, Digital Spy, Glamour, The Sun and lots more that hadn’t previously featured her. Below are some quotes from Katherine’s label Warner and her management company 247 Worldwide Management during the album campaign.